Our eye care professionals can help you customize the lenses for you! Frames set your look. Lenses allow you to see. The eye doctors at Laguna Eyes are committed to providing nothing less than the most advanced lenses. That's why we are one of the only eye clinics in Laguna Beach to provide Shamir lenses. The wide range of high-tech lenses and treatments available through our Shamir lab allows us to provide optimal clarity and comfort to suit your prescription and also your lifestyle. 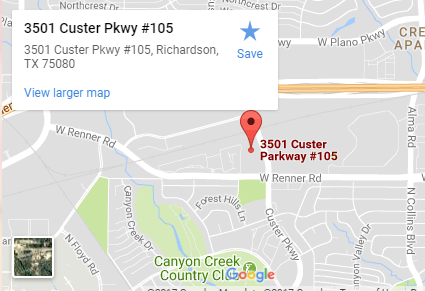 Need progressive lenses at a job site? In the office? Spend lots of hours in front of a screen? Are you an aspiring athlete or weekend golf pro? Shamir lenses allow us to exactly match your needs so you can see your best while looking your best. Shamir Autograph® II has been a staple premium lens for loyal Shamir lens wearers and ECP’s for over 10 years. To keep the lens relevant in today’s market we have updated the design by incorporating two technologies to further enhance the wearer’s experience. Shamir’s Close-Up® technology adjusts the reading zone inset of every lens to the individual patient’s convergence during near viewing. With As-Worn Technology™, we use three different measurements to create a lens that’s even better suited for the patient; with vertex distance, pantoscopic tilt and panoramic angle we can fine-tune the lens unlike ever before. The near viewing zone in Shamir Autograph® II+ is dynamically located within the lens corridor, taking into account the Rx sphere value - plus or minus. This reduces the need to tilt the head forwards or backwards when reading a book. Eye-Point Technology III is able to simulate real-world images and support the design of lenses that provide an improved viewing experience for all patients regardless of lens power and frame choice. 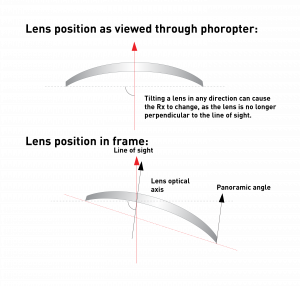 The near viewing zone in Shamir Autograph III is dynamically located within the lens corridor, taking into account the positive or negative power of the prescription. 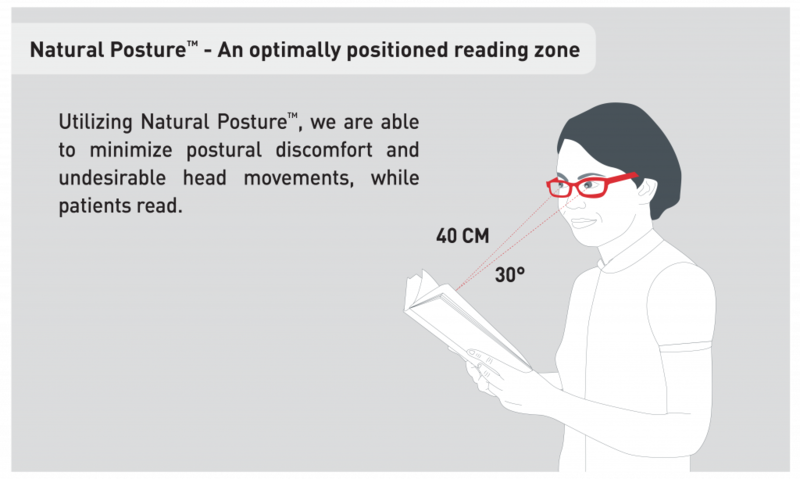 This reduces the need to tilt the head forward or back, or alternatively to lower or raise a book when reading in an attempt to find the right viewing distance and angle. This new technology allows Shamir’s designers to control the power profile of the lens, giving variable emphasis to the power for every given point on the lens. As-Worn Technology™ ensures that the patient’s experience of the prescription once the lens is fit into the frame, is exactly the same as when originally measured by the optometrist. Utilizing Head Eye Integrative Movement software (HEIM), Shamir can now see exactly where in the lens people actually look, along both the vertical and horizontal meridian, when they specifically perform tasks in the various visual zones. This technology integrates research findings with patient habits and visual needs to provide a smooth, seamless lens design concept for every Visual Age™. By applying elements of Artificial Intelligence that mimic human intelligence, this design engine is able to make go/no-go decisions based on predefined rules. With Shamir Relax™, our mensa-like scientists have incorporated extra ADD Power in the lower part of the lens, so the eye muscles don’t have to work as hard at accommodation. By utilizing Shamir Relax™, the wearer's lens accommodations will be reduced by up to 30%, providing them with renewed energy for their life outside of work. Shamir Relax™ is the relief you've been looking for. Shamir Golf™ is a Freeform® lens designed to ensure that all Shamir Lens wearers experience their perfect game. Unlike standard progressives, the three vision zones are specifically tailored to the needs of golfers to maximize their viewing: the scorecard in their hand, the ball at their feet and the green in the distance. Shamir offers the perfect customized solution whether you need to concentrate on close work at the computer while keeping near surroundings precisely in focus, or while working at the computer while also focusing on mid-distance workspace. 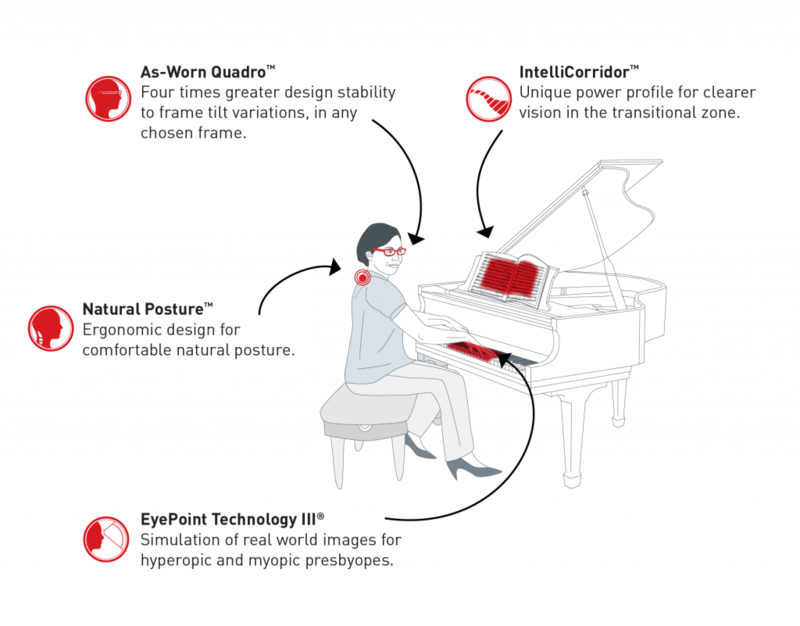 When focusing on a computer and its near surroundings is a top priority, Shamir Computer™, an advanced Freeform® lens, provides a wide field of near viewing with clear vision up to 5ft. Shamir Computer™ is ideal for people working on a computer throughout the day, especially those working with multiple monitors. Shamir WorkSpace™ is the best solution when priority focus is both mid-distance and near viewing. Offering a greater depth of field, up to 10ft. If working on near tasks and interacting with employees or presenting to groups fall within the wearer's daily tasks, Shamir WorkSpace™ is the ideal solution. can help, is to see for yourself!